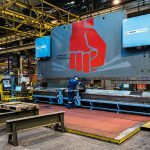 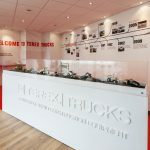 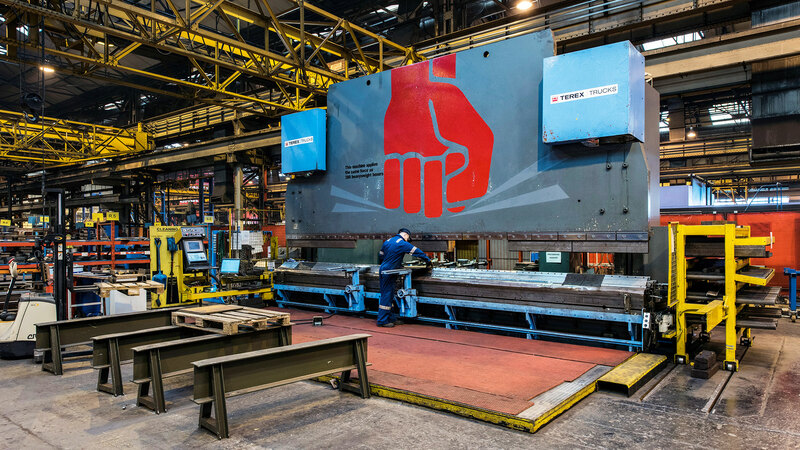 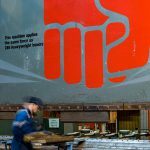 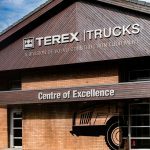 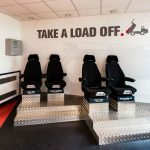 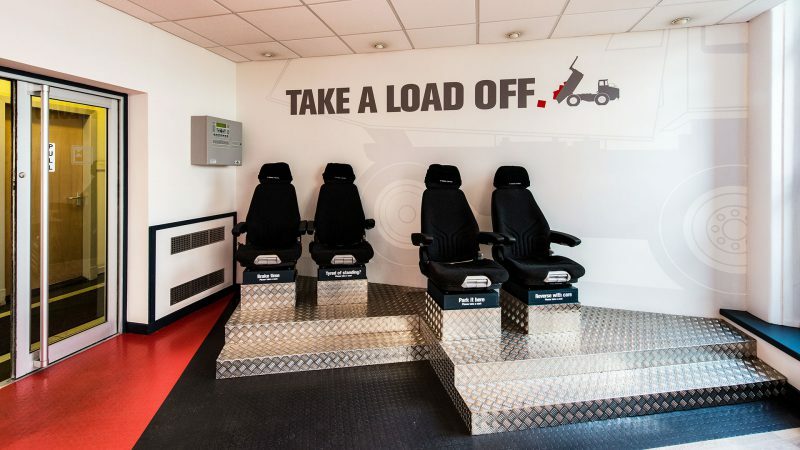 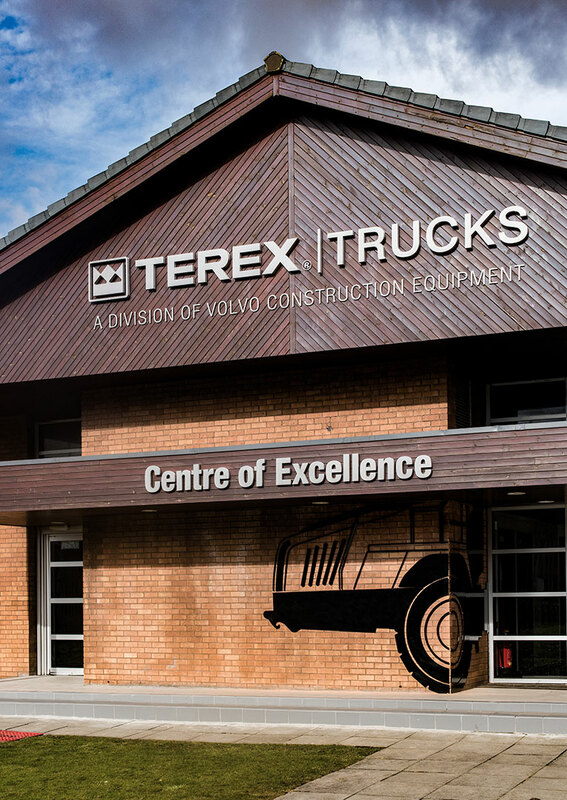 EVM collaborated with designers Studio LR to create a workplace branding experience in the Terex Trucks manufacturing facility near Edinburgh. 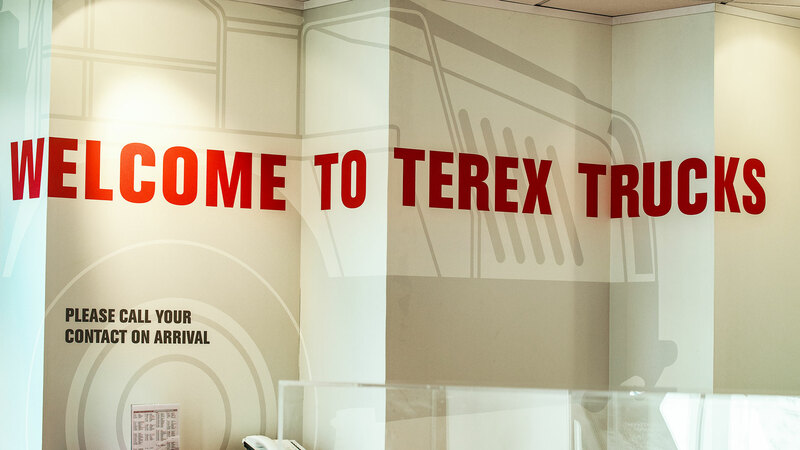 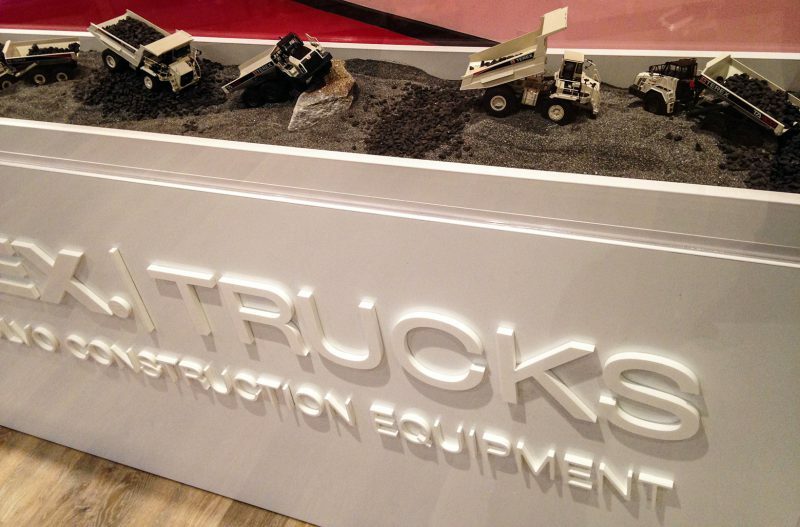 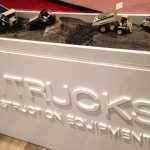 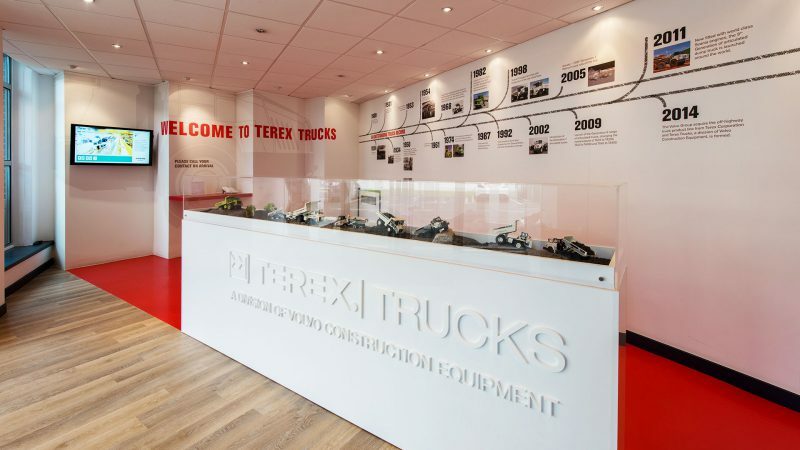 Terex Trucks’ has a heritage going back to 1934 and is a world leader in the manufacture of articulated dump trucks. The name comes from the Latin ‘Terra’ (Earth) and ‘Rex’ (King) and perfect for these highly regarded behemoths of the construction industry. 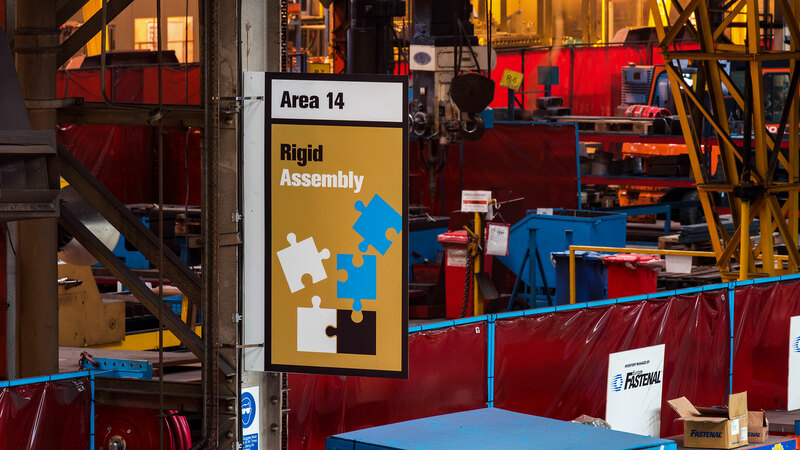 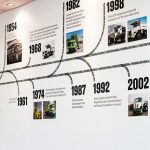 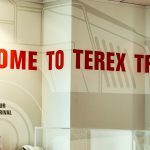 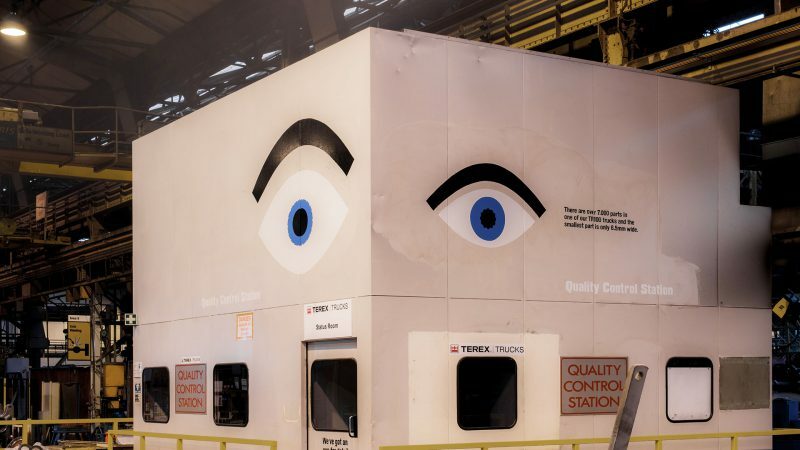 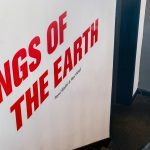 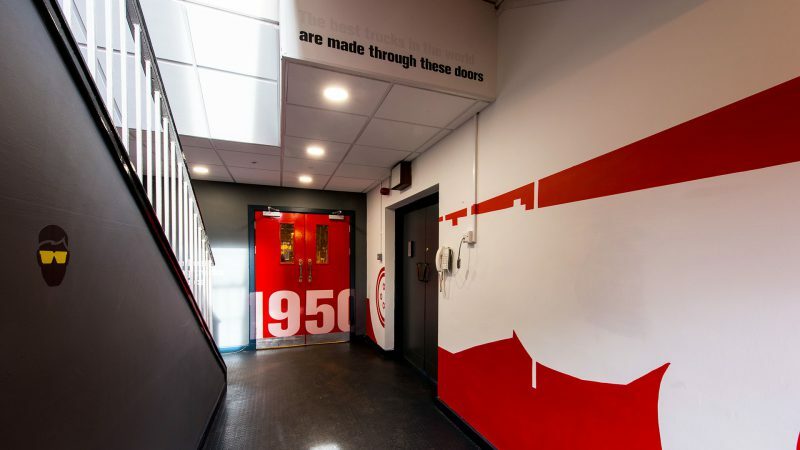 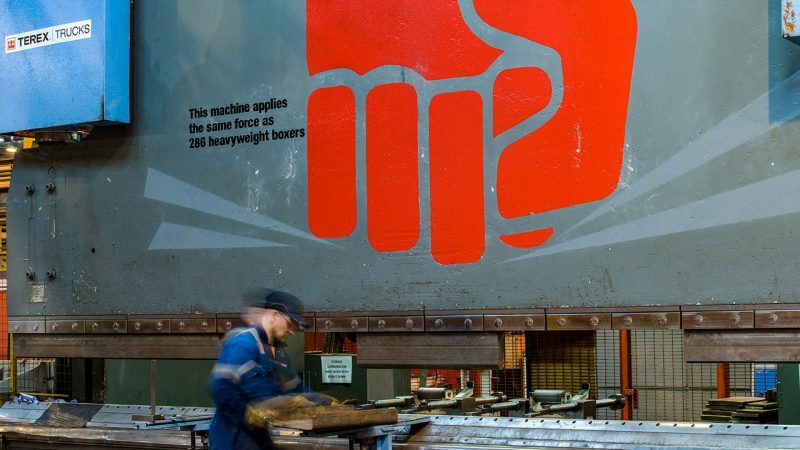 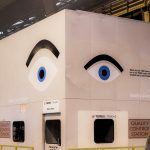 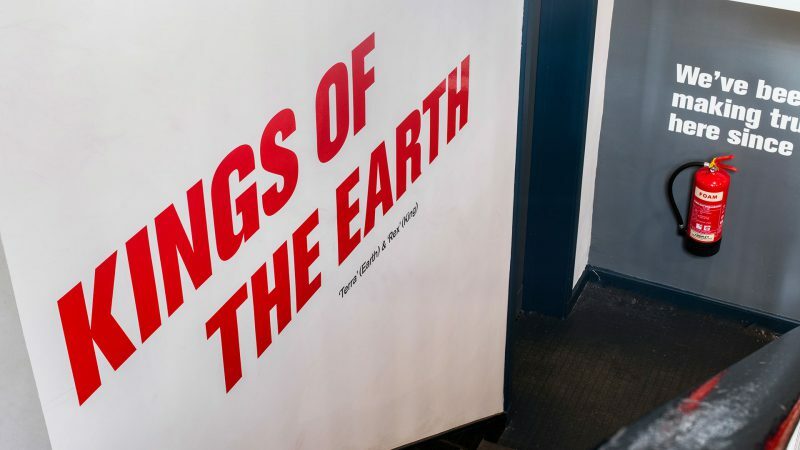 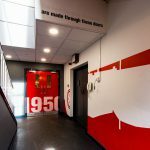 EVM worked closely with the company’s design team to bring the brand to life at the Terex UK manufacturing facility with a scheme that turned the entire building into a unique visitor experience. 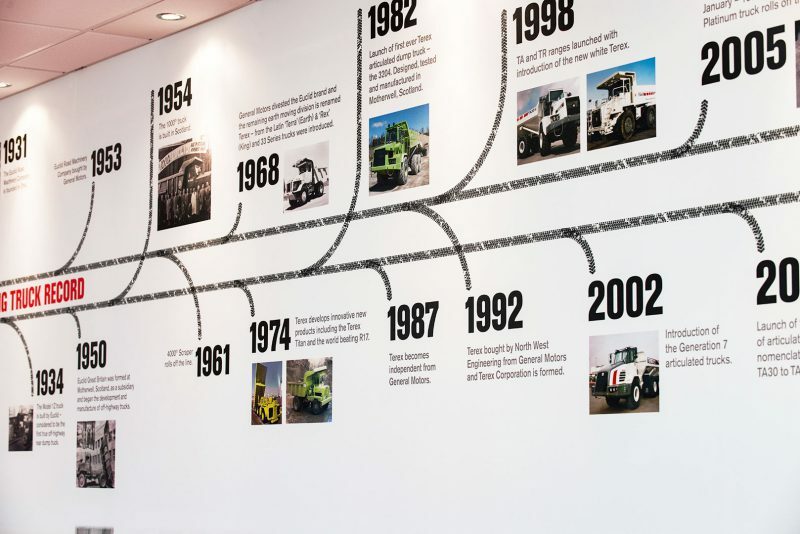 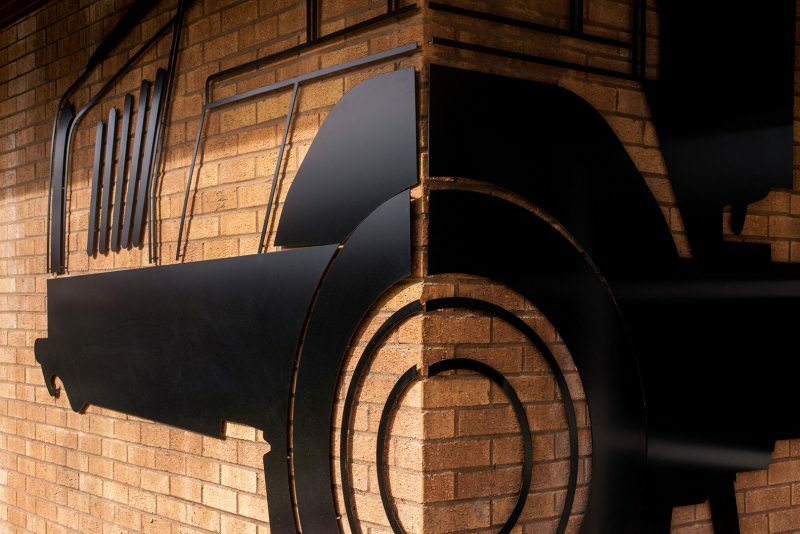 EVM’s scope of works included: a series of powerful messages by way of large format interior and exterior graphic installations in the company’s Scottish manufacturing plant, a re-fit of the customer reception area with new seating and flooring, digital wallpaper and an interesting display case fabricated in Corian containing scale models of the Terex vehicle range. 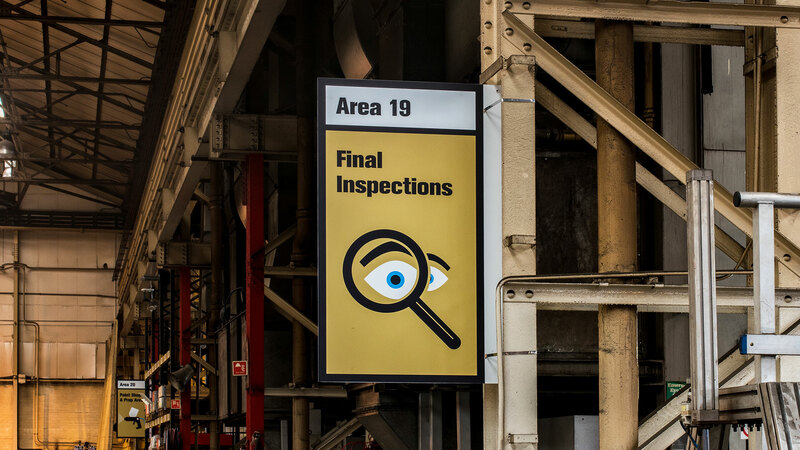 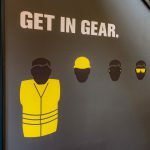 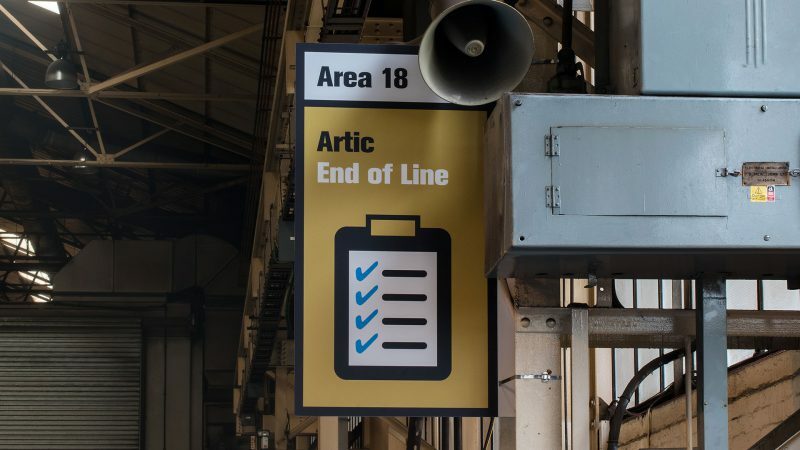 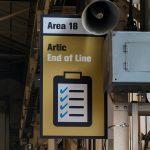 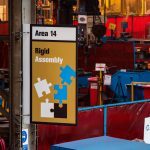 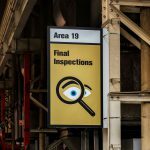 Wayfinding signs and motivational graphic messages featured throughout the shop floor and were continued in the office walkways. 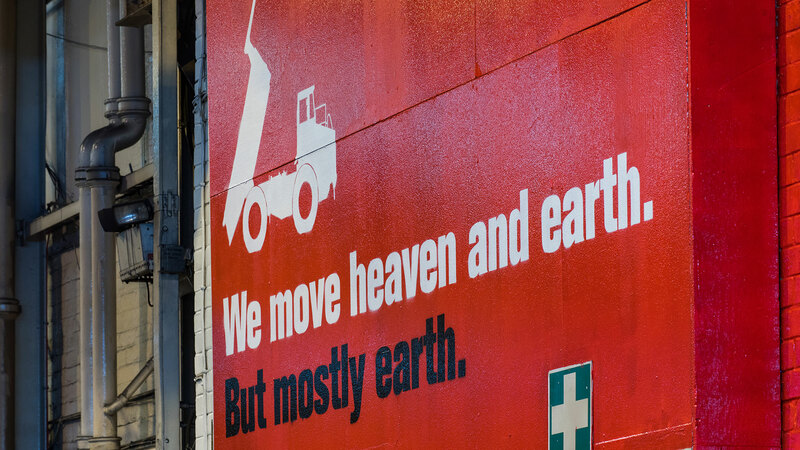 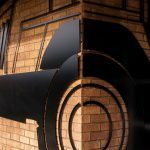 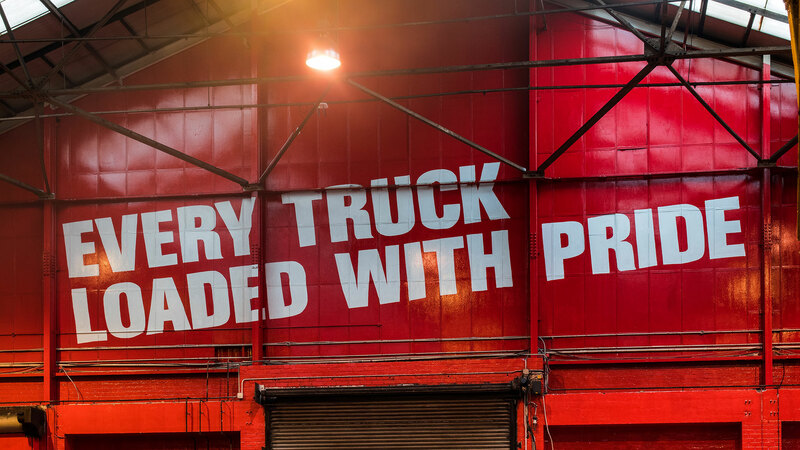 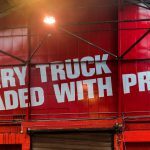 Graphic applications were underpinned with clever copy that emphasised the company’s brand values, heritage, and product benefits. 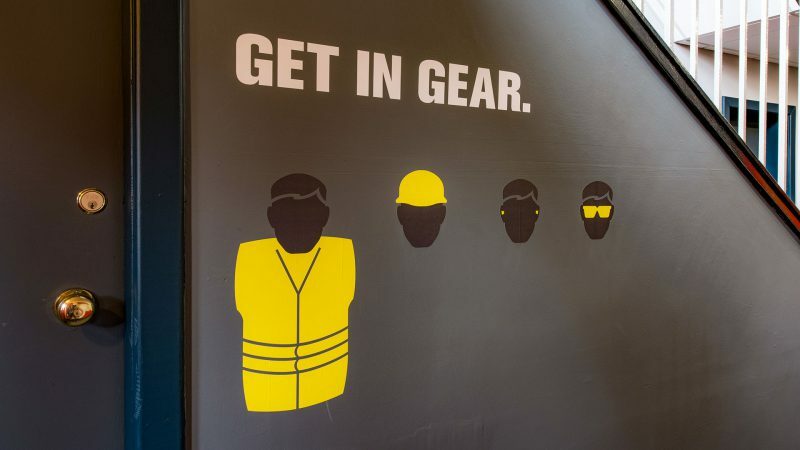 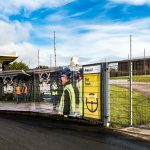 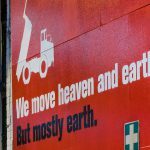 Exterior graphics incorporating full colour images of the product range onto perimeter hoarding panels utilising EVM’s, direct to substrate, UV cured printing process to ensure enduring image stability.